You love playing Monopoly at Albertsons and McDonald's…you even play it with family in your home. Now instead of Monopoly, you can play Idaho-opoly. It’s the same game as Monopoly but with everything in the game based on things uniquely Idaho. One card says Whitewater, advance to the Salmon River. Another says Put Fry sauce on everything, pay $20. You can even buy the Dog Park Inn Bed and Breakfast, that’s shaped like a dog and located near my hometown in North Idaho. Plus when you go to jail in this game you don't just go to jail, you go to the Idaho State Penitentiary. 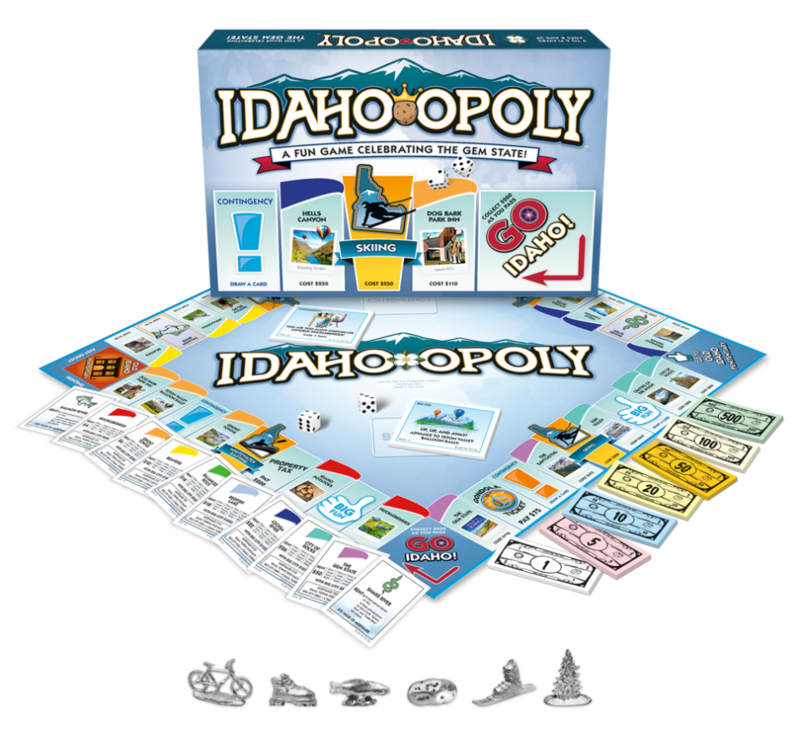 Like Monopoly, Idaho-opoly, features Idaho-themed locations and trivia. The game was created by Too Late for The Sky. The games hit shelves of four Idaho Walmart’s this week and they're selling for $19.98. You can also purchase on line at Too Late For The Sky. Like Monopoly, the object of the game is to collect your favorite Idaho locations, and be the last player in the game that didn’t go bankrupt. Here’s the other great thing for people like me who hate playing by actual monopoly rules because it can cause a game to drag on for hours….According to the company, they also have a rules variant in the instructions that will limit the game to about one hour, which is great for quick game nights with friends or family. Unfortunately, as of right now Idaho-opoly is only available Walmart stores in Ammon, Mountain Home, Blackfoot and Rexburg. If you don't live in those places, but want to get one of the games, they can also be purchased by calling 800-422-3434 or here.